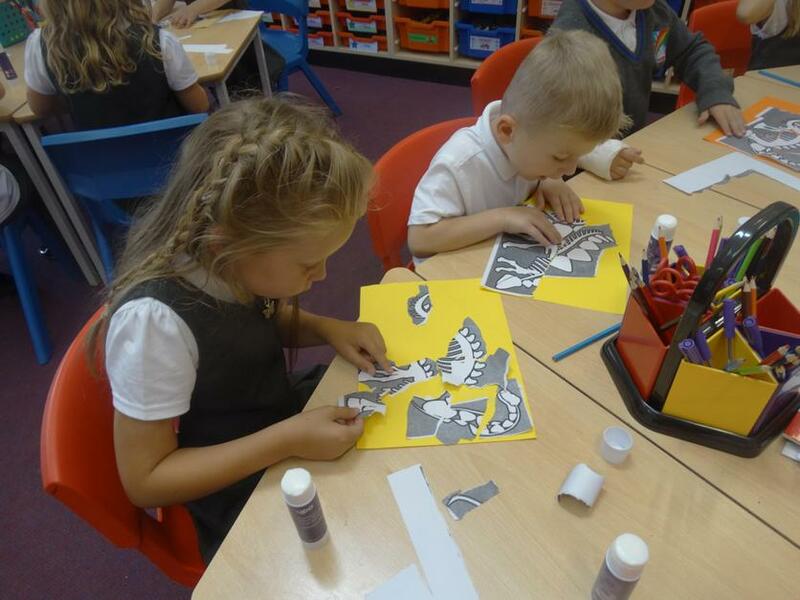 In our first unit of fiction, we dived into the magical story of The Lonely Beast by Chris Judge. We used this quality text to develop our understanding of writing 'super' sentences using capital letters, finger spaces and full stops. As grammar detectives, we were introduced to nouns as naming words and adjectives as describing words. We identified and categorised the nouns we found in our story into people, places, animals, objects and ideas. We created word banks full of exciting adjectives to help us begin to describe the familiar nouns we found in our shared text. 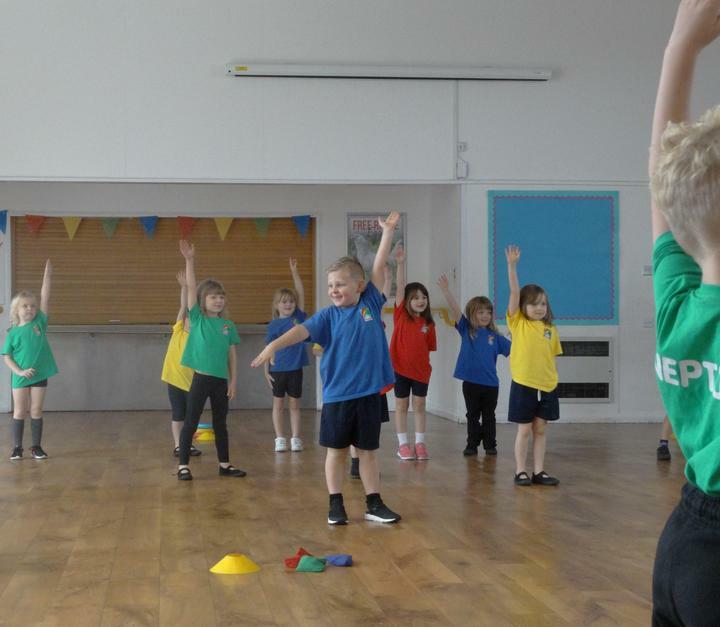 In Blyton, we are working hard to secure our understanding of numbers from 0 to 20. We know that numbers can be represented in different ways using numerals, words and pictorial representations. 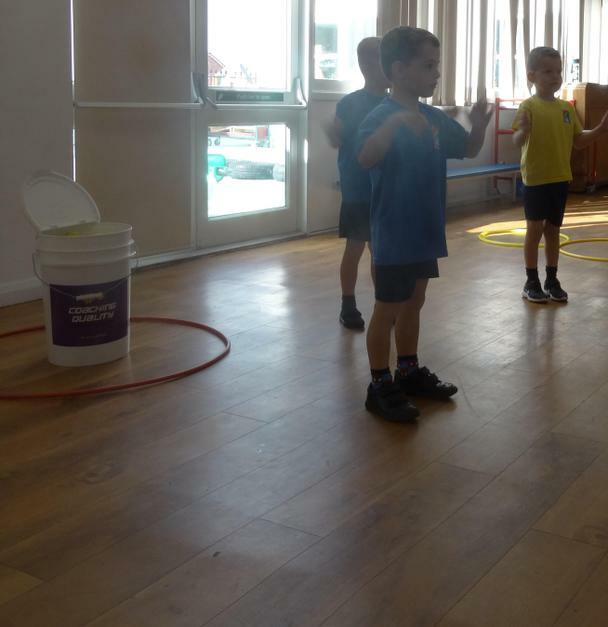 Through a series of practical investigations and challenges, we have been learning to recognise, read, and correctly form numbers, to use the language of more than, less than, equal to, most and few, and to accurately order numbers from smallest to biggest and place them on a blank number line. 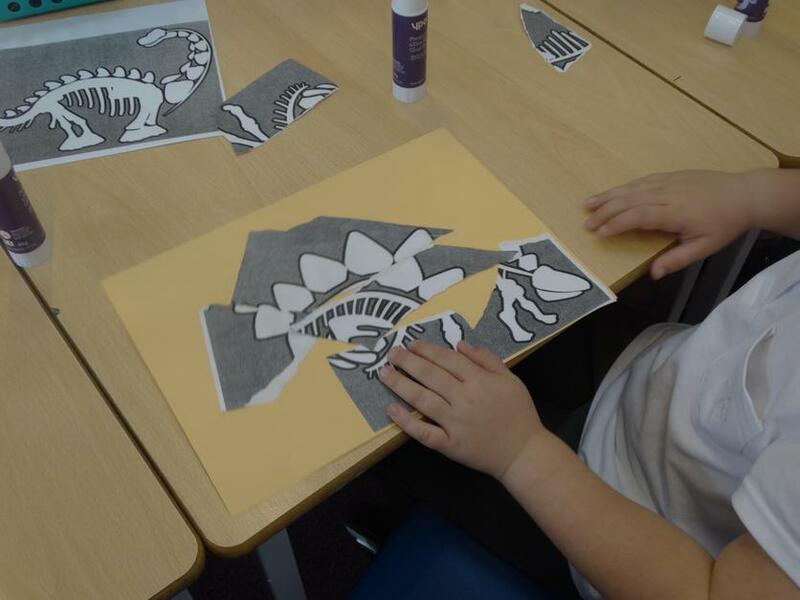 We have been exploring dinosaur fossils that have been uncovered around the world. 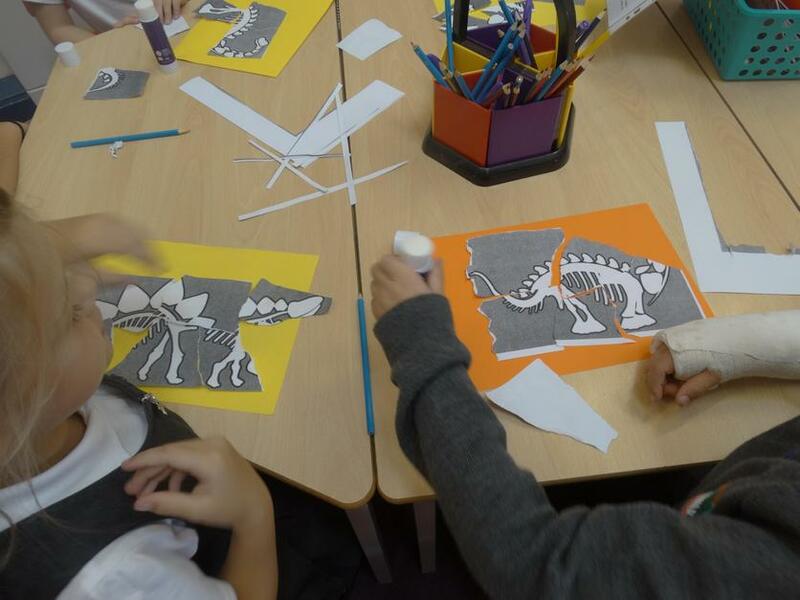 We know that the fossils that are found buried are like the pieces of a jigsaw that need to be out back together. 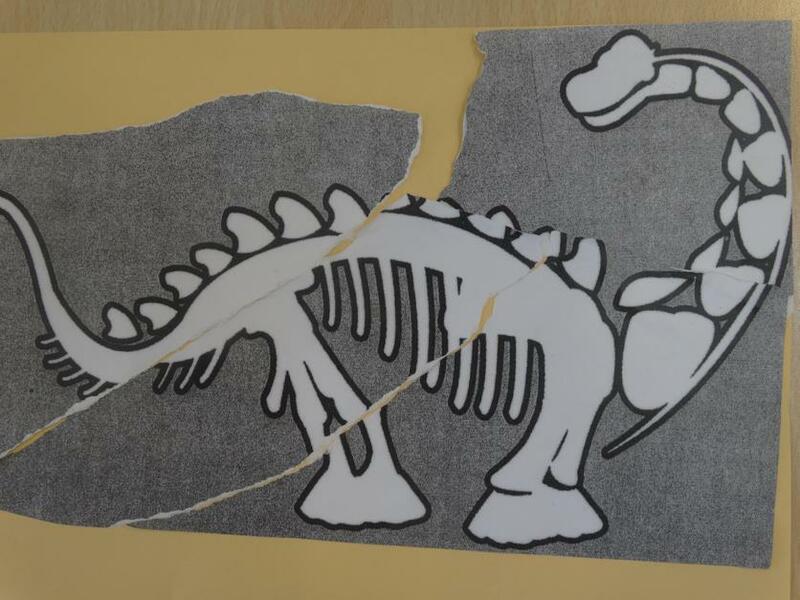 We created our own fossil jigsaws and had a go at piecing them back together to make some dinosaur jigsaw art. Dear Diary...it was the best day ever! To launch our diary writing topic, children recieved a parcel from the Lonely Beast. Inside were photographs of the Beast playing in the adventure playground at Bitts Park, and a page from his dairy describing his day. We highlighted the key features the Beast had used in his written diary and together we created a diary writing toolkit. 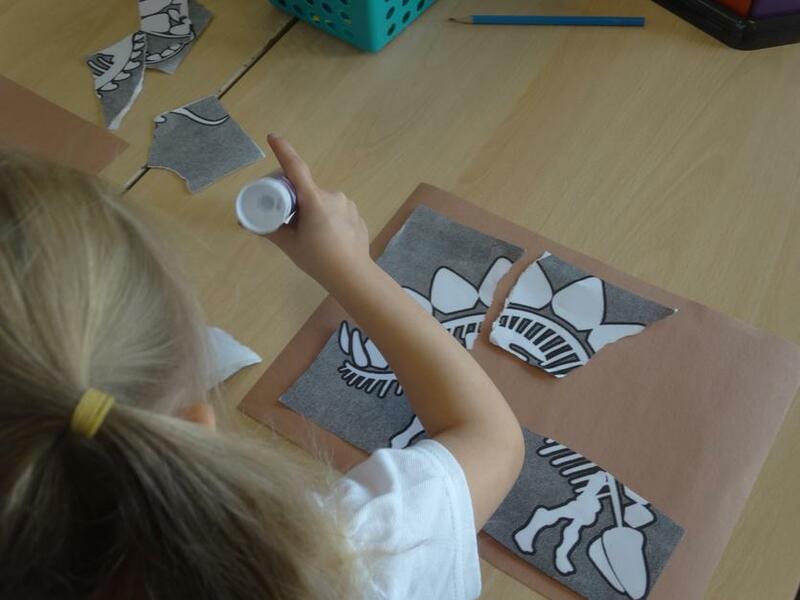 The Beast then challenged us to design and build a brand new beast using playdoh and assorted craft materials, and write a diary recount about the adventures of this new beast. We know that computer programs (algorithms) are just sequences of simple, clear instructions. To help us understand the need for these instructions to be very precise, children were challenged to have a go at programming a teacher sandwich-bot to make a jam sandwich. Using simple programming language, children wrote an algorithm to instruct their teacher-bot to make a delicious jam sandwich. We are helping each other to get better at reading. Each day for 15 minutes, we grab a lolly stick, a book and our 'sticky' reading buddy and we dive into our reading. We practise our speed sounds and tricky words at the front of our book, before reading aloud to one another. Our young computer programmers were introduced to Scratch Jr, a simplified version of Scratch designed for younger children. Scratch Jr is an ipad coding app in which children snap together graphical blocks of instructions to make characters move, interact, speak and transform on the screen. 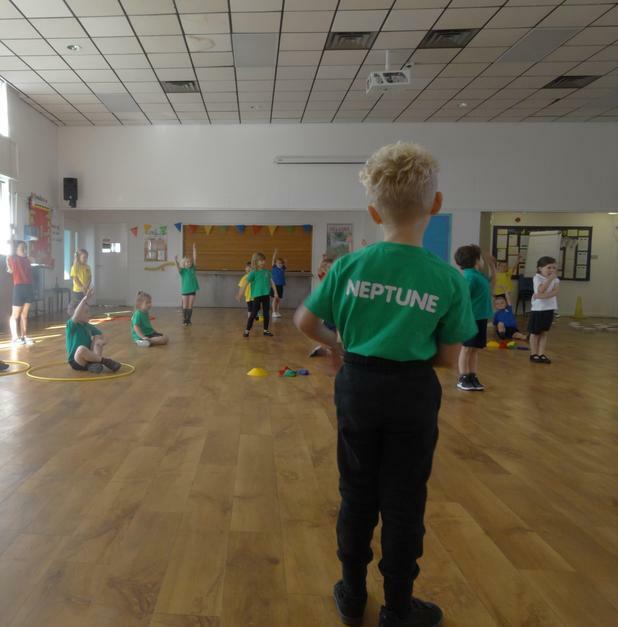 By the end of our first lesson, children had navigated around the program and developed their own sprite character and created a simple animation. 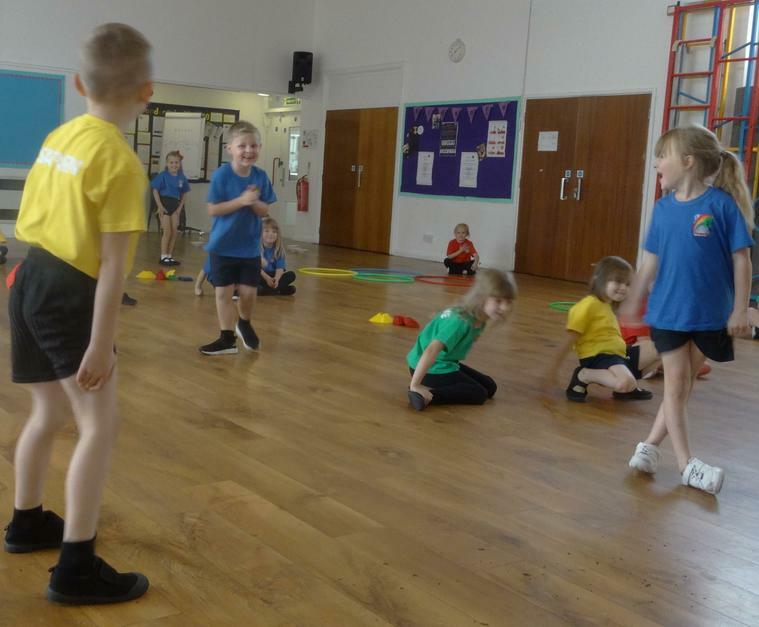 This term, children in Blyton have been working with a specialist PE coach from William Howard School in Brampton in a series of multiskill workshops. 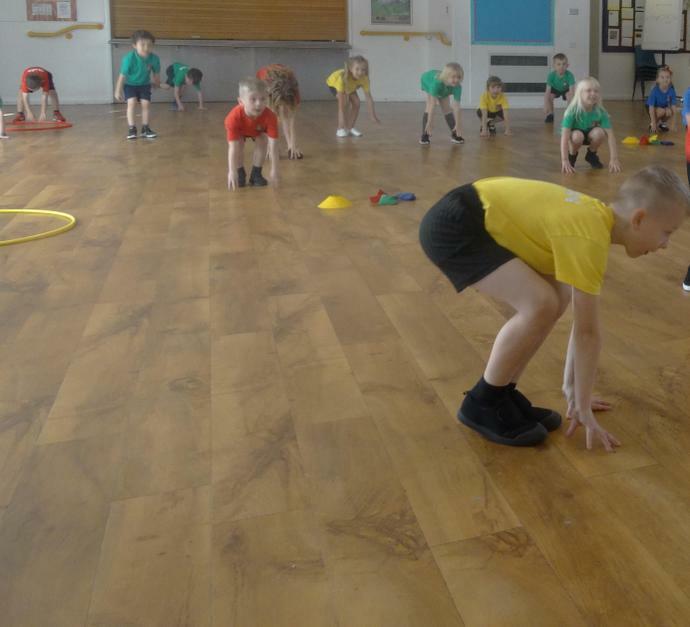 During the session, children played games and completed challenges to develop their spatial awareness, movement, coordination and balance.